Welcome to Chotest Technology Inc.! 1. Measure block gauges, ring gauges, plug gauges, thread gauges, snap gauges, spline gauges, gauge rods, rulers, measuring meters, etc..
2. Measure various gauges according to GB, ISO, BS, ANSI, DIN, JIS standards. With comprehensive and professional standards in database, it meets requirements of most customers. 3. Conform to a variety of verification regulations & measuring standards. All test results are generated according to relevant regulations and standards. 4. 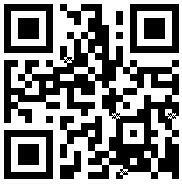 User-friendly software and easy to use. 5.With centralized database management for measuring records, the operator can query and manage the measuring records according to object type , testing institution, manufacturing number, inspector, submitted institution, equipment number, inspection date and effective date. 6. Can print multiple selected test records or test certificates from database at a time. 7. Can export test data to Word, Excel, AutoCAD (optional) files. 8. Data backup and restore. Output a variety of report formats in Word, particularly the format can be customized completely. 9. Can customize measuring standards according to the requirements of customers(optional). 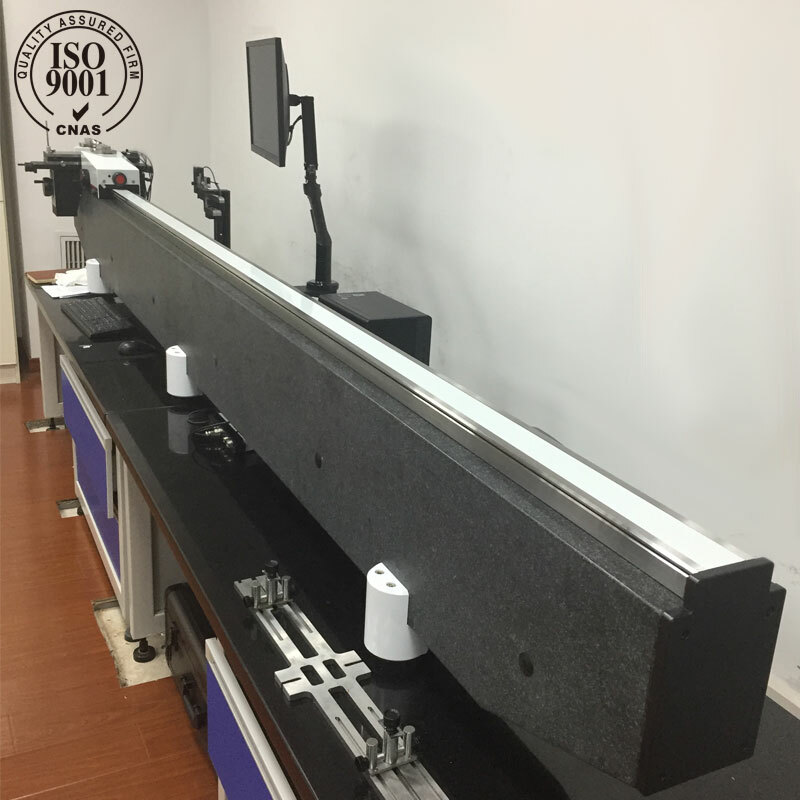 SJ5100 achieves high-precision measurement of various length parameters by using Heidenhain precision linear encoder system, precision grinding guide rail, precision temperature compensation system, bidirectional constant measuring force system, high performance computer control system. Precision grinding guide rail ensures high-stable and high-straight travel in measurement. 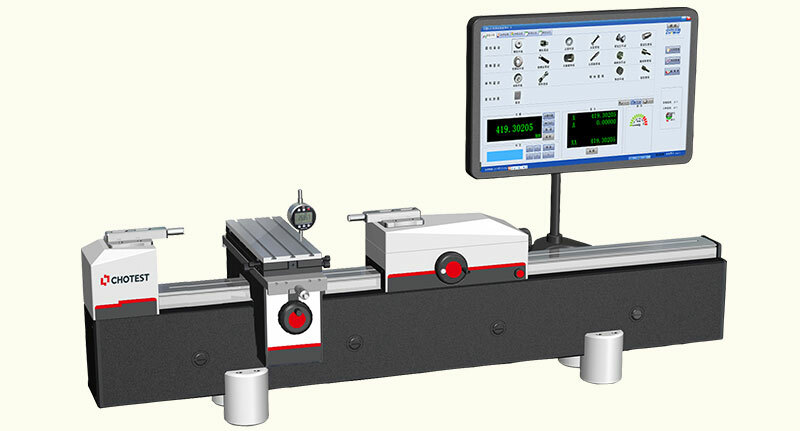 After the software records the length coordinates in contacting measurement by applying Heidenhain precision linear encoder system, on the basis of synthesizing measuring values with the data from tilt unit, measuring force unit and temperature sensor, the software calculates and obtains the related length parameters according to relevant definitions and formulas. 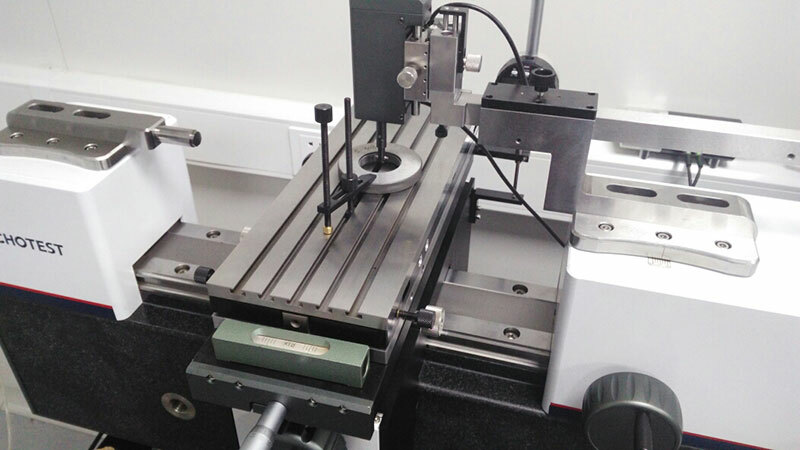 After installing the workpiece and choosing the standard as well as inputting related specifications in software, the operator moves measuring probe to contact the workpiece, then adjust the five-axis object table and main&secondary measuring slides to find the inflection point. After sampling the system calculates a variety of parameters of workpiece automatically(For example, the system can calculate pitch diameter in thread measurement). Finally all measured parameters can be qualified in compliance with specified standard, and test result is generated automatically. The whole process is completed in 3min. 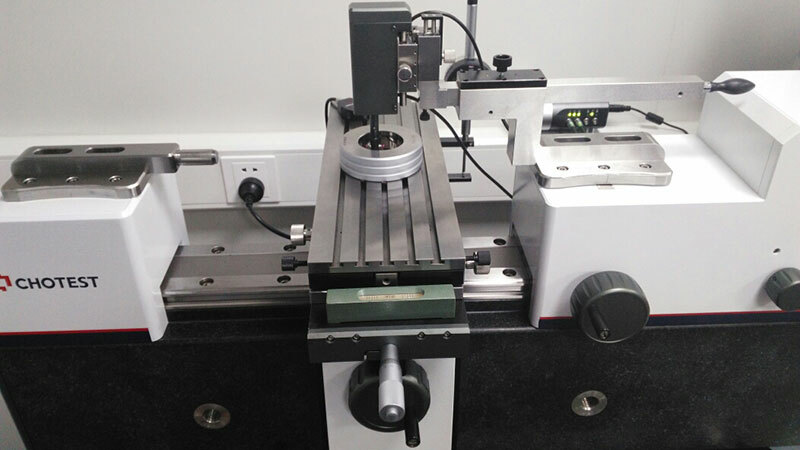 SJ5100 can implement high-precision absolute measurement over the entire setting range of measuring spindle by applying Heidenhain high-precision linear encoder for positioning of measuring spindle. (1) Heidenhain high-precision linear encoder system; Resolution: 0.01μm. (2) Precision grinding guide rail system made from wearproof materials ensures precision guidance, which helps to improve accuracy and stability of measurements. 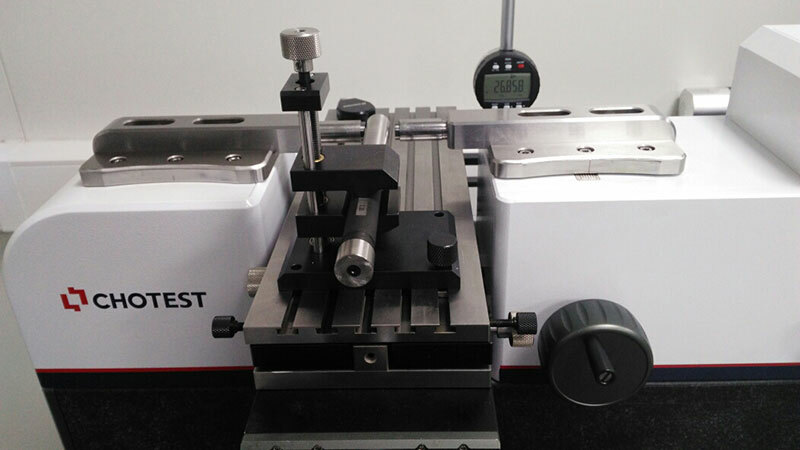 (3) Measuring values are acquired truly and accurately by using high-rigid and deformation-free measuring spindle made from imported special materials. 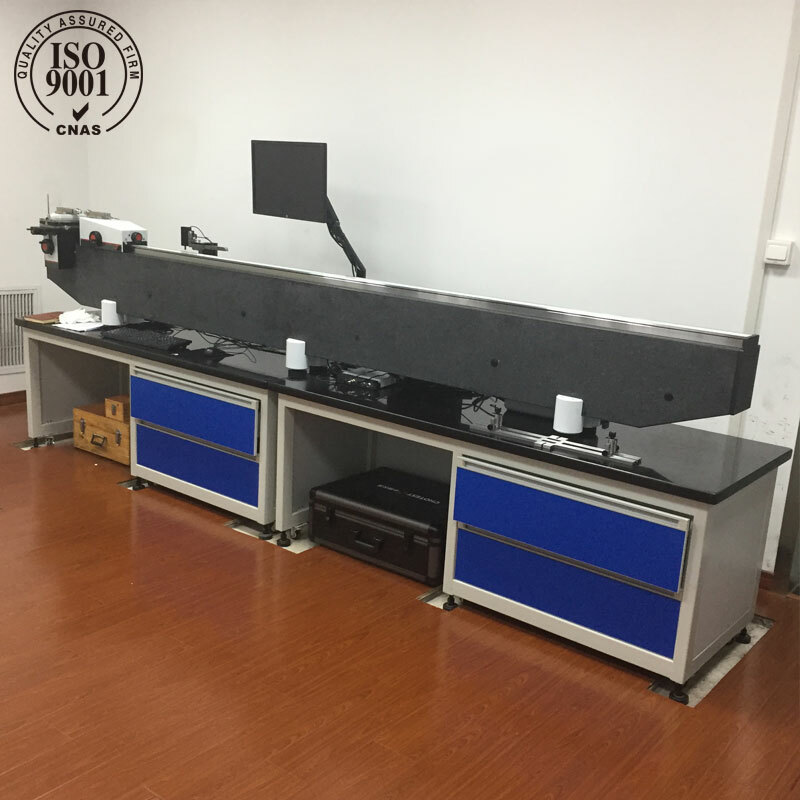 (4) By using marble base bed, measuring spindle and five-axis object table are deformation-free in movement, and the machine is protected against external vibration interference, which ensures stable and reliable working. (5) The measuring slide is very stable in travel by using compact friction driving structure. (1) Bidirectional constant measuring force system reduces the influence of measuring force on measured values, which helps to improve the accuracy of measurements. 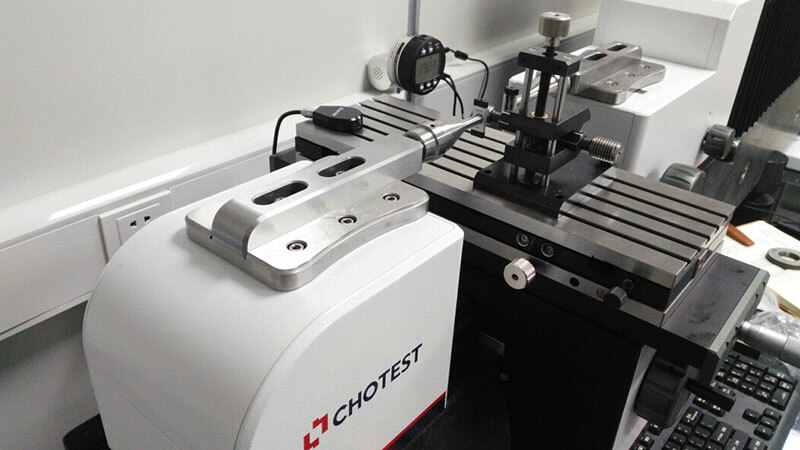 (2) Manual continuously-adjustable measuring force. (3) The sensing system of measuring force avoids measuring force`s error caused by un-horizontal position of the machine and surrounding environment vibration. (1) Software UI is user-friendly and operation of the machine is simple, so the operator can grasp the basic operation easily. (2) 10 years of practical experience in the design of measurement software; Simple and practical software is designed for customers to operate the system fast. 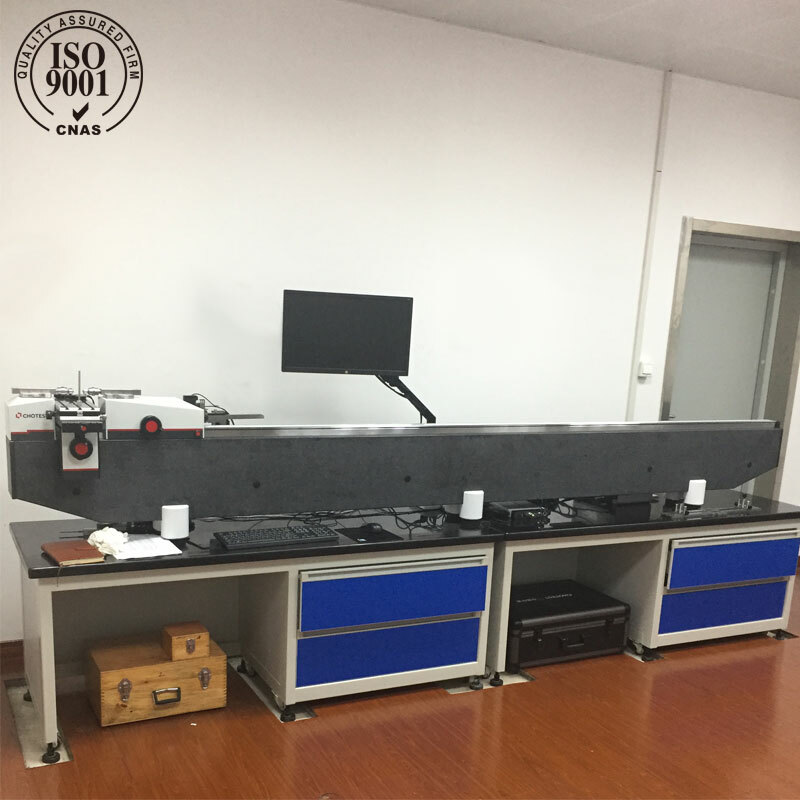 (3) With built-in a variety of length standards and regulations, the powerful software can process the measured data and generate various test reports automatically , additionally test records can be queried, displayed, saved, printed. (4) Wide measuring applications. Can measure length parameters for the vast majority of measuring gauges, gauge blocks, etc. (5) The user can find the inflection point of workpiece fast and simply though the guide function of software. (1) High-performance cross-roller for rails of X, Y, Z axis: very small friction, excellent stability and large loading capacity. (2) Function of fine adjustment of Y-axis travel & tilt & horizontal rotation is designed for the operator to find the inflection point of each axis easily. 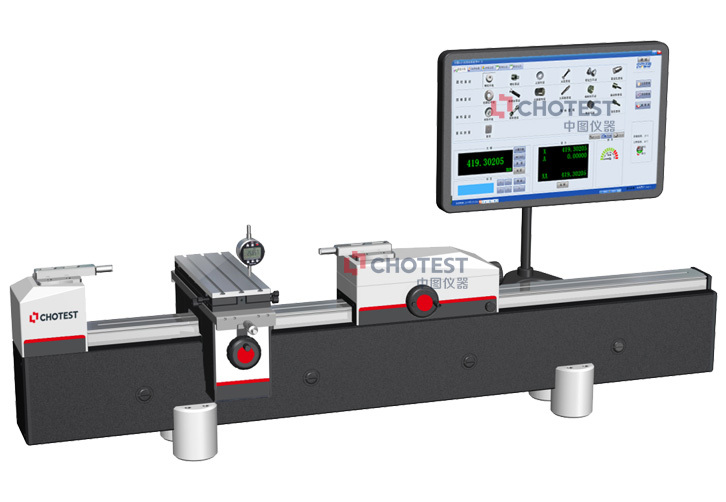 (3) The software can collects data automatically from Z-axis digital display device(standard) and Y-axis digital display device(optional), which is used for measurements of taper thread and thread pitch. 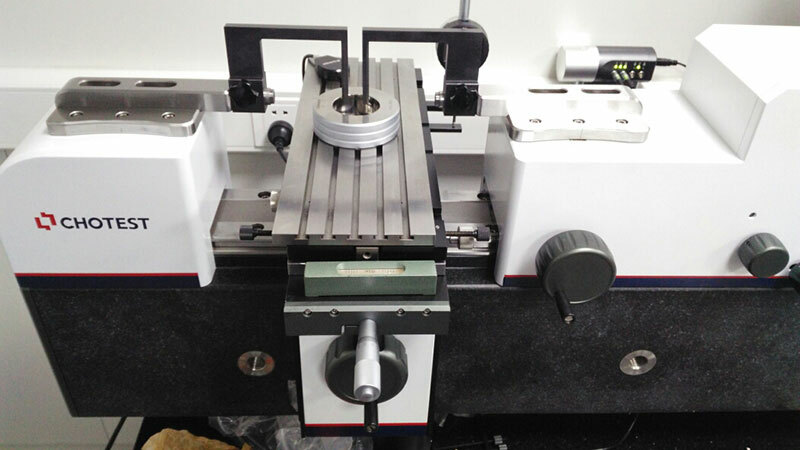 With these units, SJ5100 can measure small thread ring gauges (min thread ring gauge is M5 by using corresponding measuring probe) and plain ring gauges with diameter ≥3.0mm; Measuring force is 0.3N or 0.5N optional by software; Repeatability of plain ring gauge measurement is less than 0.3μm.